It’s my absolute pleasure to take part in the blog tour for Stasi 77. It’s the fourth Karin Müller novel and I’ve read them all. That’s how much I like them! Thank you to Ellen Turner at Zaffre Books for inviting me. Before my review though, the blurb. A gripping and evocative crime thriller, moving between the devastating closing weeks of the Second World War and the Stasi-controlled 1970s, STASI 77 is David Young’s most compelling and powerful novel yet. When I add the blurb, I don’t normally add the ‘marketing bit’ but in this instance I have because I heartily agree with it. As I wrote above, I’ve read all of the series and this is definitely compelling and powerful. Initially I found it to be a slightly slow start but in the long run this was helpful. It gave me a chance to get my head around the plot. Think of it as a train that’s pulling out of a station. It takes a while to get up to full speed but then it doesn’t stop until the final destination. David Young has done his usual style of another story thread interspersed with Karin’s investigation. I knew the two would eventually link somehow but the reveal is devastating. I don’t want to give any spoilers but when reading, I wrote in my notes, ‘Did this actually happen?’ Sadly, the answer is yes. And that’s the wonderful thing about this series. You get a History lesson without realising it. It’s the authentic touches that make the difference. The description of the newly built towns – a vision in concrete it seems – and Karin’s belief in the Republic, brings alive a world that was hidden from the West. Karin Müller is such a wonderful character. It’s a bit of a cliché but she really has been on a journey and David Young has turned her life upside down on several occasions. As Karin discovers, the Stasi will use anything to get their way, including her children. Although she’s been in tight scrapes before, this is Karin at her most vulnerable – alone and unable to trust anyone. Throughout the novel, there are references to Karin’s past cases. As this is the fourth in the series, I would recommend reading the books from the beginning. Having said that, this could be read as a standalone. But the tie-ins from the past have got me thinking – is this the last novel? David Young is coming to my local library in May and I’m definitely going to ask him about this! So, compelling and powerful? Absolutely. This is my favourite of the four without a shadow of a doubt. It takes a while to ‘bed’ in a character but we’re there with Karin Müller. We know she believes in the Republic but is wary of the Stasi. We know if she’s ordered off a case then she’ll find a way to solve it regardless. We know if Karin is pushed into a corner then she’ll come out fighting. So I really hope she has more cases to solve. Especially as this is set in 1977. Another 12 years before the Fall of the Berlin Wall. Come on David, you know you want to. You can buy Stasi 77 by clicking here. I have the great honour of interviewing David along with Daniel Pembrey at West Barnes Library (next to Motspur Park Station in SW London) on Tuesday 14th May at 7.30 pm. If you’d like to come you’d be most welcome. Just let me know or contact the library to reserve your place. £1 entry. East Yorkshire-born David Young began his East German-set crime series on a creative writing MA at London’s City University when Stasi Child – his debut – won the course prize. The novel went on to win the 2016 CWA Historical Dagger, and both it and the 2017 follow-up, Stasi Wolf, were longlisted for the Theakston Old Peculier Crime Novel of the year. His novels have been sold in eleven territories round the world. Before becoming a full-time author, David was a senior journalist with the BBC’s international radio and TV newsrooms for more than 25 years. He writes in his Twickenham garden shed and in a caravan on the Isle of Wight. 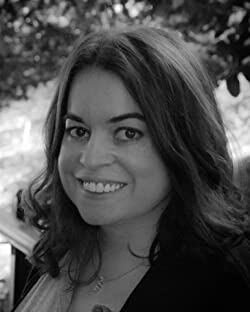 I first met Laura Shepherd-Robinson at CrimeFest in May 2017. I asked her when her book would be out and I was gobsmacked by her reply – January 2019! Publishing really does move slowly. I bought a copy at Laura’s launch at the beginning of this year but I’ve only had the opportunity to read it in the last couple of weeks. Was it worth the wait? I’ll tell you in a minute. First, the blurb. I know the Brexit news is dire pretty much every day but it was particularly bad when I read Blood & Sugar. This debut novel was the perfect escape, transporting me back to 1781. It was the height of the slave trade in Britain where black people were not considered people but commodities – goods that could be sold or traded. Slavery is a stain on Britain’s history and no amount of scrubbing will wash it away. But Laura Shepherd-Robinson is not afraid to air the dirty laundry and she does so with great empathy. Laura has clearly done her research. Her attention to detail is wonderful and I truly felt I was in the 18th century. It was a wrench to put it down and come back to the present day. Maybe it’s all the period dramas we have on TV but I could picture Captain Harry Corsham in his distinctive red army coat. There are wonderful descriptions throughout the book but the one that blew me away the most was the slave trade ship. I don’t want to give away too much but I barely breathed reading those scenes – the tension was so palpable. I loved the character of Captain Harry Corsham. He’s a rare politician – of his time and of now – as he has integrity. At First Monday Crime, Laura spoke about principles and ambition in politics. Sometimes principles have to be compromised for ambition to be achieved. I love that Harry is willing to let go of his political ambitions to do what’s right. There’s a cast list at the beginning of the book and it’s definitely needed. Thankfully, characters are introduced slowly and I only found myself glancing back to the list a couple of times just to confirm who people were. Oddly, I didn’t use the map at all but it’s always good to have a map. Throughout the whole story, there’s the tension of justice and injustice, a tightrope that Harry Corsham has to balance on. There are times when this book isn’t easy reading. We are not spared the harsh reality of slavery. Although this is fiction, in her Historical Note at the end, Laura explains more about the factual elements behind the story. Blood & Sugar is a complex novel with fiendish plotting at the heart of it. I couldn’t work out the killer (which normally makes me cross) but I loved finding out who was responsible, especially in such dramatic fashion. I’ve used the word ‘love’ quite a lot in this review but I can’t think of a better one. At just over 400 pages, this is a weighty novel but it never once dragged and I reluctantly put it down to get some sleep. To put it simply, this is an astonishing debut. So yes, most definitely worth the wait! Laura Shepherd-Robinson was born in Bristol in 1976. She has a BSc in Politics from the University of Bristol and an MSc in Political Theory from the London School of Economics. Laura worked in politics for nearly twenty years before re-entering normal life to complete an MA in Creative Writing at City University. She lives in London with her husband, Adrian. Blood & Sugar is her first novel. Thankfully the April showers held off for First Monday Crime’s 3rd birthday. Helping us to celebrate was Ruth Ware, Phoebe Morgan, Kate Rhodes and Cass Green. Sophie Goodfellow was in charge of the questions. Now, you might be thinking, ‘Hang on, wasn’t Alex Michaelides meant to be there?’ He was but sadly couldn’t make it at the last minute. So Phoebe Morgan graciously stepped in and did a fab job. First up, Sophie asked the authors to tell us a bit about their books. 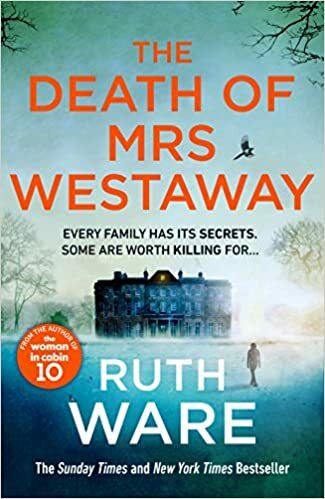 Ruth Ware’s latest novel is The Death of Mrs Westway. Her main character, Hal, is a bit down on her luck. She has mounting debts and has taken some loans from very dubious people. When she receives a letter telling her she’s inherited money from her grandmother, it seems as though her luck may have changed. Except that Hal’s grandmother died a long time ago. There’s been a mistake. But Hal’s so desperate, she uses her skills as a fortune teller to get the money. The Girl Next Door is Phoebe Morgan’s second psychological thriller. It’s set in a small community in Essex. A girl is found murdered. How does the community react? Although she lives in Cambridge, the Isles of Scilly is the destination for Kate Rhodes latest series. 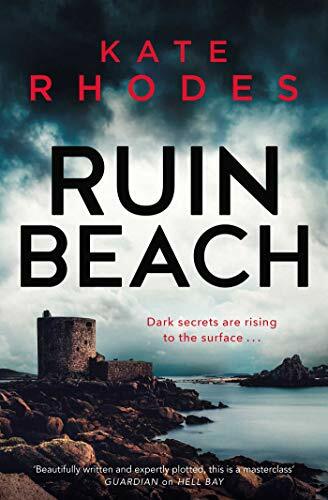 Ruin Beach is the second Ben Kitto book after Hell Bay, which has been optioned for TV by the makers of Line of Duty. In Ruin Bay, a diver is found dead and Ben has to investigate. 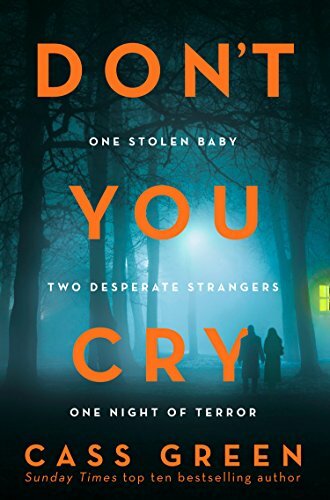 Cass Green writes standalones and her latest is Don’t You Cry. Imagine someone saves your life. You can’t thank them enough. How can you ever repay them? And then they tell you. Hmm, I have a feeling it’s not going to be good! Something that Sophie had noticed about Ruth’s previous books were that they were about ordinary things that go wrong for the protagonist. But in The Death of Mrs Westway, things go well for Hal. Was this deliberate? Ruth decided to do something different with this book. She wanted her protagonist to set the story in motion rather than have things happen to her. Hal was meant to be a bit of villain but Ruth liked her too much. The novel’s about inequality and is set in Brighton. Although it has a reputation for being cosy, Brighton also has areas of extreme poverty. Ruth also moved from 1st person narrator to 3rd. She wanted a more old-fashioned feel, in the style of Daphne Du Maurier and wanted to remove the reader a bit from the protagonist. She was also a bit bored of having an unreliable narrator. There’s a vivid description of someone nearly choking to death in Don’t You Cry which quite unnerved Sophie. She wanted to know how Cass came up with that idea. Cass tends to write about things that scare her e.g. choking and she was quite distressed when she wrote it. There are 3 viewpoints in the book but Angel, who literally saves Nina, is more of the main character. Cass had had the idea of Angel for a while and tried to use her in a different story but it didn’t work. However, she’s perfect for Don’t You Cry. Kate’s novels are set on the tiny Isles of Scilly. With such a small population, there can be a pressure cooker environment which Kate uses to great effect. Often the young people leave. Whilst we may love the idea of a sea view, if all you can see is an ocean – it’ll make you want to leave. Sophie pointed out that small communities often band together. When Kate lived there for a month in the winter, she realised how much she needed to rely on neighbours. Initially the islanders weren’t too sure about her but they warmed to her after a while. Phoebe’s novel is also set in a claustrophobic small community. Although there’s a murder, it’s essentially a story about a marriage. Jane is an upstanding member of the village. Her husband is a GP. But what goes on behind closed doors? Sophie asked how the panel how they got into writing. Cass was a journalist for many years. She wrote lots as a child and moved onto short stories at university. She started in YA novels before moving to crime. Her first published novel was actually the third book she’d written. So her message – keep persevering! Kate was an English teacher and found she wanted to do the creative writing exercises her pupils were doing. She then did a PhD and became a university lecturer. She began writing poetry before moving onto short stories and novels. Poetry is a good discipline as not a single word can be wasted. Kate thinks that writing is 95% confidence and 5% talent. Phoebe trained to be a journalist but wanted to do something more creative. She moved into publishing but also writing. Eventually she got an agent and a job as an editor. She’s had her fair share of rejections even though she was in the industry. You only need one agent and one publisher to believe in you. Her message is the same as Cass – perseverance! Ruth was an avid writer from a young age and told her mother when she was 5 that she wanted to be an author. Her mother advised her to have a Plan B. She used to type her stories and by her teenage years she was writing full book length stories. Her imagination seems to work in 90k word blocks! Ruth became a publicist after university which gave her stage fright about her own writing. She didn’t want to send her work to people she knew. So like Cass, she started with YA novels and went the slush pile route. After publishing several YA novels, she wrote In A Dark Dark Wood and, as Sophie pointed out, ruined hen dos for ever. Phoebe is a terrible planner. She starts with an idea or a character and then just goes with it. Cass is turning into a planner. It’s a different experience for each book. The creative process is messy but she’s willing to try different things. Likes to have a plan of some sorts though. For Kate, it’s like setting out on a journey without a map. Knows her destination but anything could happen on the way. But after once deleting 60k words, she needs a plan. Ruth is half and half. Like Kate, it’s journey but she’s normally been thinking about it for a while. She knows the beginning and the end but the journey is a mystery. She normally knows who did it and why. Important to give the reader a solution. The authors mentioned the different techniques that others use such as post-it notes and writing the whole plan a roll of wallpaper. I think it was Cass who mentioned whiteboard sheets. If you don’t have space for a whiteboard, you can buy sheets that you can stick to your wall – sounds ingenious! After some great audience questions, the evening ended with cookies for everyone and then we went in search of a pub – literally! Two were closed and another had a pub quiz. One was eventually found. Now, as I’m sure you’ve noticed, next month is May and of course, the pesky Bank Holidays. So First Monday Crime is changing, for one month only, to First Tuesday Crime on 7th May at 6.30pm at City University. Panel will be announced shortly and you can reserve your seat by clicking here. I’m delighted to be taking part in the blog tour for The Ringmaster by Vanda Symon. New Zealander police officer Sam Shepherd burst onto the UK scene last year in Overkill. It was a stunning debut so I jumped at the chance to read the second in the series. Thank you to Karen Sullivan and Anne Cater for giving me the opportunity to read and review. You have to give it to Sam. This woman gets knocked down more than a skittle but always seems to get back up again, if a little bruised. She really went through the wars in Overkill but she’s bounced back and moved upwards and onwards from solo uniformed officer to detective training and being part of a team. However, being part of a team has its drawbacks, mainly in the shape of DI Johns. Sam’s new boss is determined to make her life hell. On the plus side, Sam’s best friend Maggie has also made the move to Dunedin and her aunt and uncle are putting the two young women up. So life isn’t all bad. Until a young female student is murdered. I don’t want to give any spoilers but Vanda Symon has given us another chilling and compelling Prologue, just as she did in Overkill. There’s an air of menace in it that then hovers over the storyline, making Sam (and the reader) ask the question – who is capable of such a crime? Although the case is the main part of the plot, it was good to see more of Sam and how she’s adjusting to life in the city, as well as her family interaction and her love life. I know her better after reading this novel. There are plenty of twists and turns and short chapters keep the pace moving. Sam faces tough decisions in dramatic and traumatic circumstances which keeps the writing taut and makes for tense reading. The move from a small town to a city is interesting. In Overkill, there’s a great sense of claustrophobia in Mataura – the small town where everyone knows everyone else’s business. Or thinks they do. Dunedin, on the other hand, is anonymous. When Sam leaves a note on a car that’s blocking her parking space, it opens up a whole host of problems. For country girl Sam, moving to the city is proving tricky. Overall, although I missed the small town setting a bit, it was great to see Sam Shepherd in a new challenge. There’s an interesting development at the end of The Ringmaster so I can’t wait to read book 3! You can buy the e-book now or pre order the paperback by clicking here. Vanda Symon is a crime writer, TV presenter and radio host from Dunedin, New Zealand, and the chair of the Otago Southland branch of the New Zealand Society of Authors. The Sam Shepherd series has hit number one on the New Zealand bestseller list, and also been shortlisted for the Ngaio Marsh Award for best crime novel. She currently lives in Dunedin, with her husband and two sons. Welcome to the house of sick! Apologies for not doing my normal interview or review for First Monday but I’ve had so many ill people in my house I’ve not had time to arrange it. But I can tell you who’s coming to the special birthday party on Monday. Yes, First Monday Crime will be three years old next week and you’re all invited! There’ll even be cookies (unless I catch the flu from my husband and then it’s game over). Providing the entertainment for the evening are four wonderful authors – Ruth Ware, Cass Green, Kate Rhodes and Alex Michaelides. Attempting to juggle our authors will be Sophie Goodfellow. Here’s a bit more about their books. Ben Kitto has become Deputy Commander in the Isles of Scilly Police. As the islands’ lazy summer takes hold, he finds himself missing the excitement of the murder squad in London. But when the body of professional diver Jude Trellon is discovered, anchored to the rocks of a nearby cave, his investigative skills are once again needed. At first it appears that the young woman’s death was a tragic accident, but when evidence suggests otherwise, the islanders close ranks. With even those closest to the victim refusing to talk, it seems that plenty of islanders had reason to harm her. As the community remains guarded, Ben Kitto discovers that terrible secrets lie beneath the waters around Tresco, and the killer may soon strike again. Four amazing books! 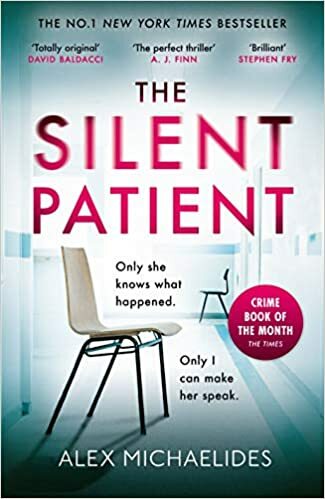 If you’d love to come along to First Monday Crime at City University on Monday 1st April at 6.30pm, then don’t forget to RSVP by clicking here. This is the third author talk I’ve organised with the Friends of West Barnes Library and it was particularly special. As I said to the audience of about 50 people (our biggest so far), it’s lovely to introduce them to authors I know but especially so when you’ve known them for more years than you care to admit to. It’s been wonderful to see their careers start and flourish over time. So who were our guests? Rhidian Brook, author of The Aftermath, now a feature film starring Keira Knightley and Alexander Skarsgård. And Elisabeth Gifford with her book, The Good Doctor of Warsaw, my top read of 2018. There are similarities with both novels. The Aftermath is set in Germany at the end of WW2 and, as the title suggests, The Good Doctor of Warsaw is set in Poland during WW2. But the key thing with these stories is the element of truth running through them. I suggested to them that Rhidian’s book is fiction inspired by a true event whereas Elisabeth’s is a fictionalised account of a true story. Both are remarkable. The true story behind The Aftermath is a very personal one to Rhidian. He knew his grandfather had been out in Germany after the war but it wasn’t until his father sat him down and told him everything, that he sensed the possibility of a story. As in the novel, Rhidian’s grandfather, Walter Brook, was in charge of putting Hamburg back together again. And just like Lewis Morgan, Walter Brook suggested to his family that they share the large requisitioned house with its Germany owners. Apparently Mrs Brook was a bit hostile towards the idea. And that conflict sparked the beginning for this fantastic novel. Rhidian visited the house out in Hamburg as part of his research as well as grilling his aunt and uncle over their experiences too. Dr Janusz Korczak is a figure that Elisabeth Gifford has long admired and she knew she wanted to write about him. As he died at Treblinka, she searched for others who may have known him. She managed to find one of his helpers, Misha, but he died before she could speak to him. She contacted his son though, Roman, who told her not just about Korczak but also about his parents’ incredible story of how they survived the Warsaw Ghetto. Only 1% actually survived. I asked Elisabeth how she managed to translate the true story into fiction and the kind of responsibility she felt. Initially the book was quite factual and read more as a biography. So her publishers suggested she rewrote it as fiction. There was a huge responsibility to get it right, particularly with Misha and Sophia’s story. Where there were gaps in the narrative, Elisabeth had to ask Roman if she could make a few things up to ensure the story flowed. Thankfully he agreed! For Rhidian it was easier as he was making up a story but he was keen to include things his family had told him. For example, the Rubble Kids, who were hung upside down over railway bridges to knock coal off the tops of goods trains down to the women below who would catch them in their skirts. As their books contain themes such as forgiveness and reconciliation in The Aftermath (or redemption and hope as Keira Knightley put it in a recent TV interview) and dignity and hope in The Good Doctor of Warsaw, I asked how much their Christian faith influences their writing. Elisabeth said she’s managed to put a vicar in most of her books and no one has minded so far. For Rhidian, his earlier books had a more obvious Christian slant in comparison to The Aftermath, which is more thematic. His latest book, The Killing of Butterfly Joe, (which is set in 1980s USA at the height of tele-evangelists) has a character who’d like to be the American equivalent of the Pope and point out hypocrisy in the Church. My final question was about their current works in progress. Elisabeth is writing a novel set on the Scottish island of St Kilda where there has been no permanent population since 1930. Sounds intriguing! Rhidian has written the screenplay for The Killing of Butterfly Joe and he’s now working on something Crime related. Since he has previously written for Silent Witness (and in my opinion wrote excellent police officers) this could be very interesting! A huge thank you to the Friends of West Barnes Library for their help in setting up the evening. And also we were very honoured to have photographer Colin Hart come and take photos for us, along with my daughter. A few weeks ago, Colin took photos at The Aftermath premiere so it was lovely he came to our much smaller event. Thank you Colin! So we have two slideshows – one from Colin (just above) and one from my daughter (further up). But biggest thanks of all to Rhidian Brook and Elisabeth Gifford for thoroughly entertaining us. And we’re back again in May! This time it’s TUESDAY 14th May at 7.30 pm so a change of day. We’re staying in Europe (for books at least) as we welcome David Young and Daniel Pembrey who will tell us why they’ve set their novels on the Continent. Today I’m on the blog tour for Keep Her Close by MJ Ford. This is the second DS Josie Masters book. Thank you to Sabah Khan at Avon for inviting me to take part. I have an extract for you that follows on from the passage that Jen shared over on jenmedsbookreviews.com on the 9th March. So if you haven’t read it yet, hop over to read her post first and then come back to me! But before all of that, the blurb. And really, she wasn’t. Much. Though the thought of the sun on her face was appealing. It was quite some time since she’d had a proper break. In fact, the last prolonged period of annual leave had been Padua with Ben, about fifteen months ago. A top-floor apartment overlooking some piazza or other, a warm Mediterranean breeze tickling the blinds, the muffled chatter of the restaurant customers below. Afterwards, they’d calculated it was during the holiday that she’d conceived. Ben had even suggested that Padua would be an acceptable name if it turned out to be a girl. ‘Enough, Josephine,’ she muttered to herself. She drove back out of Oxford towards Horton, the village where she’d grown up and where Paul, until recently, had occupied the family home with his wife and two children. Maybe she needed to talk to Lucas about going away. They’d been together almost six months, so a holiday wasn’t moving too fast. Somewhere hot preferably. Sandy. Cocktails (virgin for teetotal Lucas, obviously). Somewhere free from the bloody footprints of the dead. Lucas preferred winter sports, but surely he could be coaxed onto a windsurfing board. The estate agents selling her brother’s house – The Rookery – were under strict instructions to drive potential viewers in from the other end of the crescent. It seemed a rather pointless subterfuge to Jo – they’d find out soon enough what had happened nearby at Sally Carruthers’ ‘House of Horrors’, as the papers had called it. Jo pulled up outside to find the estate agent and a couple already waiting. She climbed out of her car and apologised, then scrambled for the key to let them in. I think it’s fair to say that DS Josie Masters has got quite a lot on her plate! And that’s even before her police work. To find out more you can order the book here. M.J. Ford is a writer and an editor at Working Partners, where he works on projects across the age groups. He loves thrillers, historical and fantasy titles. His first novel, Hold My Hand, received rave reviews in 2018 and Keep Her Close is his second thriller.